And we're back from the Toronto Regional Worldwake Pre-Release. We had a BLAST ! Many thanks to SkyFox Games for inviting us to check out this great Magic the Gathering Tournament - Hundreds of Players cracking Worldwake packs, Guest Artist RK Post, Gunslinger John Wasson, friendly opponents and a helpful Judging staff. Both very decent fellows ! Most every players we talked to love the new set. 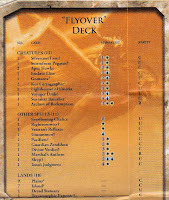 We did however hear the occasional complaint from some who had unluckily pull a load of chaff cards from their packs. 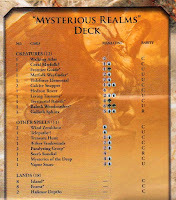 We however could not complain - we pulled some very decent cards including a FOIL Omnath, Locus of Mana . . . OmNomNomNom ! Of course we had to play green - actually a neopolitan of Green, Blue and splashing White : Since sealed is not our forte, we lost more than we won but yeah - we had big time fun. If you are a casual player like us, we suggest you head on out to a large regional pre-release to take in the sights 'n' sounds. Here are some pics we snapped during the day. And perhaps just one more video - a bit more casual . . .
With Worldwake pre-release events this weekend, we thought we would yatter a bit about how on earth one is to distill a table load of cards into a viable sealed deck that not only will play but also win. We are certainly not experts, having been to less than a handful of pre-release / release events but we're certain we may be able to provide some basic tips as provided by the Pros to get you started. The best place to start is start cracking packs and sorting the mess by colours and then by converted mana cost. As we need to start building a 40 card deck from the six packs we just got, look for a colour which provides the most support and then a secondary colour possibly splashing a third depending upon your pool. Once this is done, aim for approximately 18 lands and 22 spells. It can be further broken down as such . . .
As you may have already played in a sealed Zendikar tournament, rely upon your experience simply because half of your pool will have Zendikar cards in it. Here is an exercise for you -> If these were the 3 packs of Zendikar you opened, what would you bench and what would you keep - not knowing what your 3 packs of Worldwake would be yet . 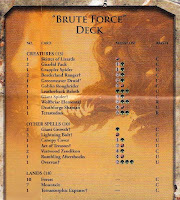 . .
Do you see a inclination towards a colour with this half of the sealed pool yet ? Personally, we are starting to like where Black and Red are going with the possibility of splashing white. Drop us a line and tell us what you think. If you are heading out to a Worldwake Pre-Release event this weekend, we hope you have a blast. We'll be heading out to the Toronto Regional Event hosted by SkyFox Games ! With Worldwake Pre-Release Events taking place this weekend, we think it sage advice to orientate your self with the Worldwake Frequently Asked Questions document. We do find it odd however that it is called an FAQ - who exactly were asking these questions and when - the set has only just been fully previewed / spoiled. 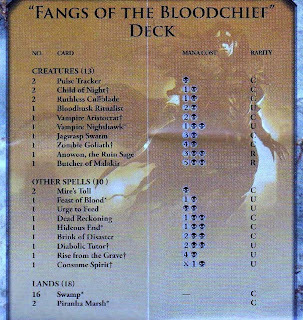 Anywhoos - you get the idea - the FAQ document is a collection of clarifications and rulings involving the cards in this, the newest Magic the Gathering set - Worldwake. It has been put together by our fav MTG rules guru Mark Gottlieband other WoTC minions. Make sure you get yourself off to a pre-release event this weekend - We'll be heading out to the Toronto Regional Event hosted by SkyFox Games ! Multikicker represents an additional cost that may be paid any number of times while the spell that has it is being cast. Multikicker is a variant of the kicker ability. "Multikicker [cost]" means "You may pay an additional [cost] any number of times as you cast this spell." A multikicker cost is a kicker cost. Worldwake has a few different ways of turning lands into creatures. Some lands animate themselves. There is also a cycle of Auras called Zendikons that animate the lands they enchant. In all of these cases, the resulting permanent is both a land and a creature and can be affected by anything that affects either a land or a creature. Most animation effects give the affected land a color or colors. This overwrites any colors the land may have (if it was already enchanted by a Zendikon, for example). Note that lands are colorless unless an effect states otherwise. (Toucheterre!) Landfall is an ability word. (An ability word has no rules meaning.) On permanents, it appears in italics at the beginning of an ability that triggers whenever a land enters the battlefield under your control. Some landfall effects may be on instants which - whether you had a land enter the battlefield under your control this turn is checked as the instant resolves, not as you cast it. Some Worldwake cards may refer to Plains, Islands, Swamps, Mountains, and/or Forests. If a spell or ability refers to a specific basic land type (that is, it says "Plains," "Island," "Swamp," "Mountain," or "Forest"), it's referring to lands with those land types, not necessarily lands with those names. Abyssal Persecutor, Admonition Angel, Agadeem Occultist, Amulet of Vigor, Anowon, the Ruin Sage, Archon of Redemption, Bazaar Trader, Brink of Disaster, Butcher of Malakir, Calcite Snapper, Chain Reaction, Comet Storm, Dead Reckoning, Death's Shadow, Everflowing Chalice, Explore, Eye of Ugin (Eldrazi is a creature type that, as of the Worldwake release, has not yet been printed on any creatures), Feral Contest, Grotag Thrasher, Harabaz Druid, Horizon Drake, Jace, the Mind Sculptor, Join the Ranks, Joraga Warcaller, Jwari Shapeshifter, Kalastria Highborn, Kazuul, Tyrant of the Cliffs, Loam Lion, Lodestone Golem, Nature's Claim, Nemesis Trap, Novablast Wurm, Omnath, Locus of Mana, Permafrost Trap, Quest for Renewal, Quest for the Nihil Stone, Quest for Ula's Temple, Raging Ravine, Razor Boomerang, Refraction Trap, Ricochet Trap, Roiling Terrain, Ruin Ghost, Rumbling Aftershocks, Searing Blaze, Seer's Sundial, Slingbow Trap, Smother, Spell Contortion, Stone Idol Trap, Stoneforge Mystic, Strength of the Tajuru, Summit Apes, Talus Paladin, Tectonic Edge, Terastodon, Terra Eternal, Thada Adel, Acquisitor, Treasure Hunt, Tuktuk Scrapper, Twitch, Urge to Feed, Vastwood Animist, Walking Atlas, and Wrexial, the Risen Deep. Looks like we have enough material for another post today. We know a lot of casual Magic the Gathering Players love sitting down at a table to do some duelling (using IntroPacks). 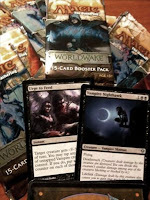 Here, for your review are the much anticipated Worldwake IntroPack contents - make tracks to a store to pick some up. Reference - Our previous post on Worldwake IntroPacks HERE, and the official page from Wizards of the Coast HERE. 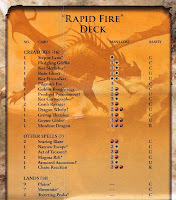 * Indicates a Reprint from Magic 2010, Zendikar, etc. Don't forget to head out this weekend to a Pre-Release for a chance to do some duelling with these IntroPacks! We have approximately 3 days until Worldwake Pre-Release parties start. Starting shortly after midnight (Saturday 30th January), local stores will open their doors and players will start filing in to sit down and get a chance to play with cards from the newest Magic the Gathering set - Worldwake. With large Regional Pre-Release events also occurring this weekend, we thought it wise to point out some recent articles on Wizards for you to review in order to prepare for the fun ahead. Also - make sure you check out the Wizard's Pre-Release Fact Page HERE. And of course, check out their handy event locater applet HERE. MTG Realm will for the first time ever be heading out to a large Regional Pre-Release to take in the sights and sounds. We suggest to fellow casual MTG players to head out to one in your area if you have the opportunity. All players register on-site and play on a first-come, first-serve process. There is no pre-registration, just show up and register the day of the event. Flight Tournament Times: Flights can begin as soon as there are a minimum of 32 players. Worldwake Sealed Deck Entry is $30. 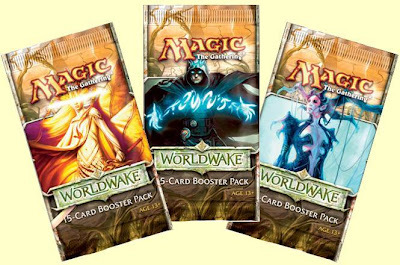 Each player will receive 3 boosters of Worldwake and 3 boosters of Zendikar to build a minimum 40-card deck. If you played in a previous Prerelease (on the same day), entry is $25. Each player will receive a booster pack (as prizes) of Zendikar for each Prerelease they play after the first (ie. played in 3 Prerelease, get an additional 2 boosters). Tournament structure is four rounds of Swiss pairings. Worldwake Two-Headed Giant entry is $20 per Player. Each Two-Headed Giant team receives 4 boosters of Worldwake and 4 boosters of Zendikar with which to construct two forty-card decks. Tournament structure is four rounds of Swiss pairings. This is organised by 8-player drafts, with single elimination. Players will draft with one pack of Zendikar and two packs of Worldwake in which to construct a forty-card deck. Entry fee is $20 per player. Format: Players receive one Intro Pack to play against other players. Play structure: Each Open Dueling participant will receive an Open Dueling Results Card to record their matches. When the player completes 5 games / matches, the results card is returned to receive one Worldwake Booster Pack and a Prerelease Promo Card. If are going out to a Pre-Release event, good luck and have a blast.